Goalscoring midfielders have always been the most prized assets of a title-winning team. A midfielder who has the ability to pick up 15 to 20 goals per season is often the difference between a good side and a great side. However, not all teams are blessed with such supreme talents, which is why sides spend huge sums these days to bring players with these abilities into the team. Perhaps the greatest goalscoring midfielder to grace the Premier League was Frank Lampard, who scored a phenomenal 177 goals during his time as a player in the league. Steven Gerrard, Ryan Giggs, Paul Scholes, Matthew Le Tisser have all been brilliant for their teams and the Premier League has been blessed with some fascinating goalscoring midfielders in the last two decades. This season too, midfielders have contributed a lot of goals for their teams and today, we take a look at the top 5 goalscoring midfielders in the league so far. The Brazilian has been deployed as a Center Forward and a Second Striker on 10 occasions this season. Lucas Moura is predominantly a right winger, but has been used across the front three so far and it has worked well for Tottenham. 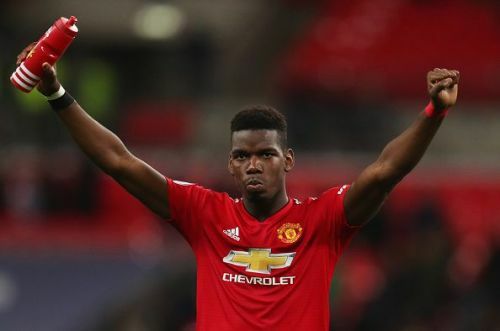 He has scored 6 goals from 19 appearances this season already, and even though he is currently nursing a knee injury, he is expected to continue his good form once he returns. 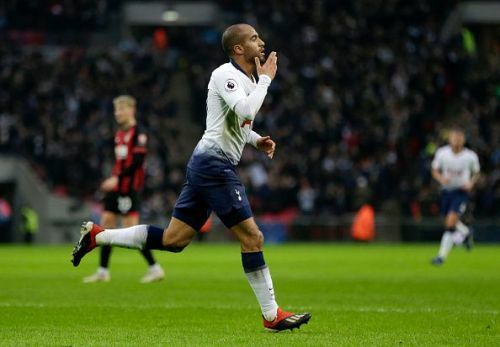 The fact that Moura has scored more goals than Eriksen and even Dele Alli, speaks volumes of his form this season. He has scored 4 goals from his right foot, and one each from his left foot and his head. The Brazilian has also registered 24 shots so far, 10 of which have been on target. He has also hit the woodwork once, but has missed 7 big chances as well. His versatility has been a great asset to his club and the Brazilian has fit into Pochettino's attacking tactics well. His speed, technical abilities and eye for a goal means that he is a constant threat to the opposition. This season, Moura has been the 5th best goalscoring midfielder so far and will definitely add a few more to his tally until the month of May.